As a successful artist and activist, Peter Yarrow’s talent is legendary. His gift for songwriting has produced some of the most moving songs Peter, Paul & Mary have recorded, including Puff, The Magic Dragon, Day Is Done, The Great Mandala and Light One Candle. His musical creativity has always gone hand in hand with his commitment to social justice and equity in society. And today, he’s reaching a whole new generation with his music and advocacy. Kristen Graves is a singer/songwriter and humanitarian from Fairfield, Connecticut who was recently listed as part of the “new generation of folk music’ in the New York Times. With catchy songs, a penchant for story telling, and inspiring lyrics, Kristen delights audiences across the country. Constantly traveling and touring, Kristen plays nearly 200 shows per year having shared stages with Dar Williams, David Amram, Guy Davis, Peter Yarros, and the late Pete Seeger. In addition to her touring and recording schedule, Kristen makes sure that there is always time to be part of the humanitarian organizations whose work she admires and is inspired by.Spending months living and working with Simply Smiles in Mexico and on the Cheyenne River Sioux Tribe Reservation in South Dakota creates the signature chemistry of Kristen’s performances: a stirring combination of music and justice. A collective of artists that celebrate, examine and advocate for life through music and poetry, Peace Poets can take you on a journey from the Boogie Down to Berlin, from the border to the bodega. Their style emphasizes lyricism, rhythm and authenticity. They hail from the Bronx and have been rocking the mic since 2005. Té V. Smith, is the author of he poetry/prose collection Here We Are, Reflections Of A God Gone Mad, an award-winning writer-poet-lecturer, has written and spoken for VH1, HBO, was the 2014 writer-in-residence for Sophie’s Table, a 2011 Democracy Fellow for POWER, and has contributed articles, essays, and short stories for various domestic and international publications. Mr. Smith divides his time between the United States, France, and Nigeria. 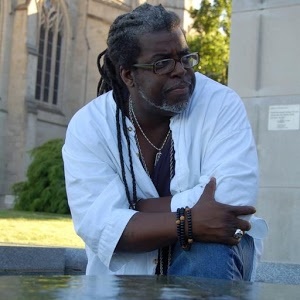 John Selders, a native of St. Louis, MO, now making his home in Hartford, CT is an award-winning gospel music singer, songwriter, and producer with over 25 years of experience. He’s performed and recorded with artists like Edwin and the late Bishop Walter Hawkins and the late Rev. James Cleveland. He has also produced recordings for artists like The O’Neal Twins, The Voices of Life, The Rhyant Brothers, Thomas McClary (formerly of the Commodores) and many others. In 2002, Selders released his first self-produced solo project, “This Love Affair” and “Hymns and Other Spiritual Songs,” available on iTunes and other music outlets. MMCT is here in solidarity with our Muslim Sisters and Brothers! https://moralmondayct.org/2018/12/30/understanding-white-supremacy/ Deadline for applications is January 21st!